It can also be an essential staple of your daily routine, the thing that gets you to work and gym and forest and back with ease and style. Many of today’s duffles are made with the latest trends in fabric, design and innovation, but in our book you can’t go wrong with the old-school stylings of canvas and leather. 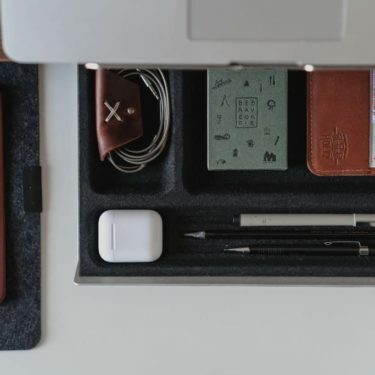 Together, these materials make for a classic travel product that’s been used for decades, and if you take any of these brands up on their wares, yours will likely be around for decades to come. Here’s a look at our favorite canvas and leather duffle bags from more than 20 brands across the country, from larger outfits like Tanner Goods to small mom-and-pop makers like Peg and Awl. For some travelers, a bag is a status symbol. But many road warriors just need something that’ll get the job done and stick around for the long haul. If you’re in the former group, you’ll dig this basic, no-frills oversized waxed duffle. It won’t have the name brand recognition of Tanner Goods or Fjällräven, but it will get you through business and leisure (bleisure?) trips with ease. Its large main compartment is more than capable for a long weekend and minimalist travelers will have no problem making it for a week-long excursion. The waxed canvas is complemented by quality cowhide leather, basic cotton webbing and standard hardware. You’re not gettin’ anything to write home about, but the point is: you’re not at home. 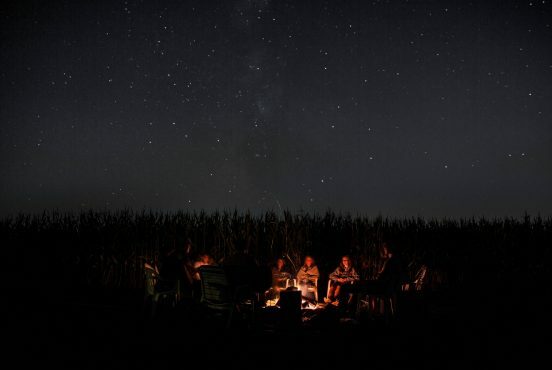 You’re weekending somewhere, is what we’re getting at. Many customers haven noted this bag’s ability to compete with more expensive brand names in the area of longevity and durability, meaning they’ve put function and utility over brand name status. And when you’re on the road, that’s often what matters most. Since 2010, United by Blue has removed more than 1 million pounds of trash from oceans and waterways around the world, and they’ve hosted more than 200 cleanups in 27 states. Fortunately for the planet, their work isn’t done, and every product sold means another pound of trash removed by the certified B-Corp. If you’re looking to add to the impact, check out the Mt. Drew Duffle, an 83-liter behemoth that packs down like something much smaller. The top-zip closure makes it easy to pack in and out, and comfortable veg-tanned leather straps make it easy to lug around. 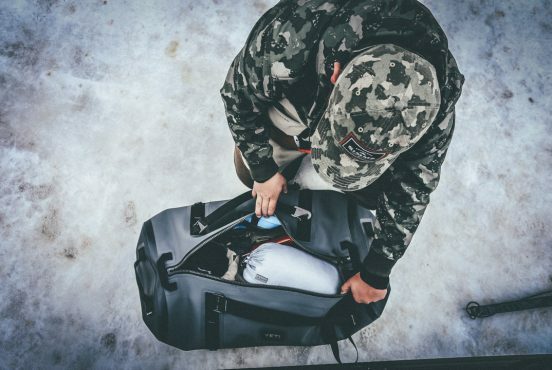 The duffle’s angular structure and bottom brass feet keep it safe and sturdy during transport, and if things get weird, the 18-ounce canvas helps keep the elements out. It’s well-built, polished enough for the most formal trips and backed by the company’s ironclad guarantee on production and manufacturing. We’re not mad if canvas and leather doesn’t bring to mind the sunny shores of San Diego, but that’s exactly where Bradley Mountain goes to work each day. 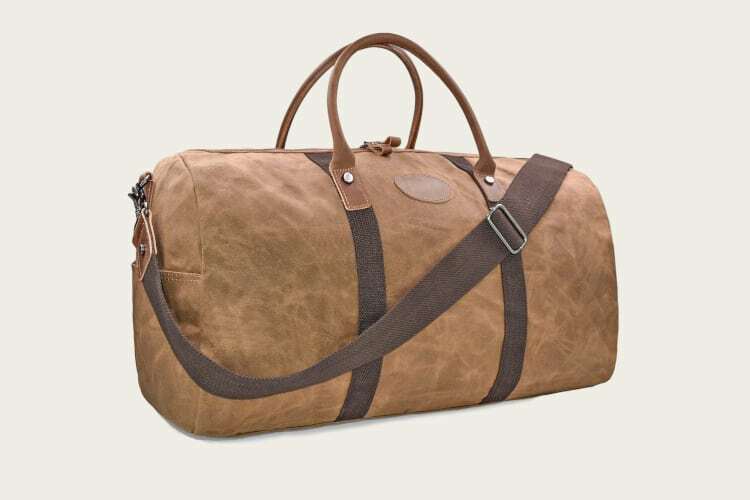 Their handmade Rambler duffle is everything good about this material combination, from the aged patina of their 19.8-ounce waxed canvas to the striking hue of their Bridle leather straps. At 24”, the Rambler is roomy enough to handle extended trips, and looking through Bradley Mountain’s Instagram feed, there’s no shortage of places they’ve been. An antique brass zipper and copper-brass accents give this duffle just enough styling to stand out while still maintaining its clean, simple aesthetics. 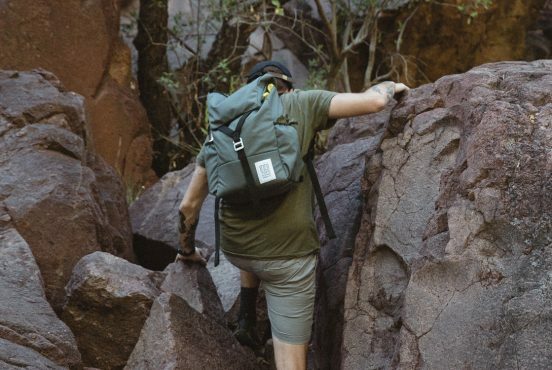 We’re huge fans of their waxed canvas backpacks, and the Rambler has the same quality, craftsmanship and attention to detail you’d expect from their backpack line. 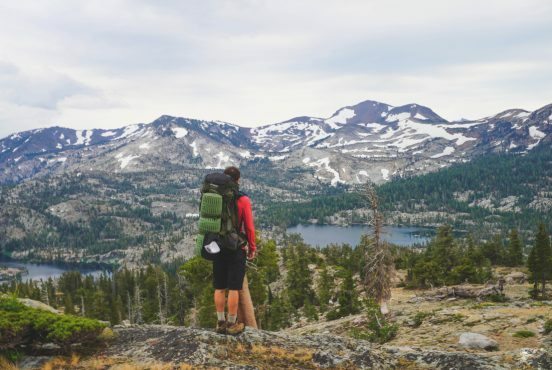 To back it up, Bradley Mountain offers free lifetime repairs on all their bags, but chances are good you’ll never need it. 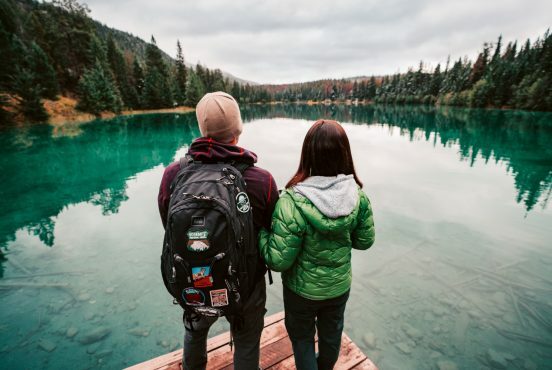 The Kanken backpack may be Fjällräven’s trendiest product, but don’t sleep on their Duffel No. 4, a bag inspired by their first duffle made in 1974. Compared to the larger options here, it’s downright compact – under 19” – and offers a clean, athletic styling that’s a great alternative to more traditional, heavier waxed fabrics. The No. 4 is made with G-1000® fabric, a polyester-cotton blend that’s become a signature of Fjällräven’s product line. It’s water-resistant, ideal for windy and rough conditions and ventilates well, something that can be an issue with thicker canvas. Natural-colored leather straps complement bold colorways – 12 total available – and the company’s arctic fox polishes the exterior. 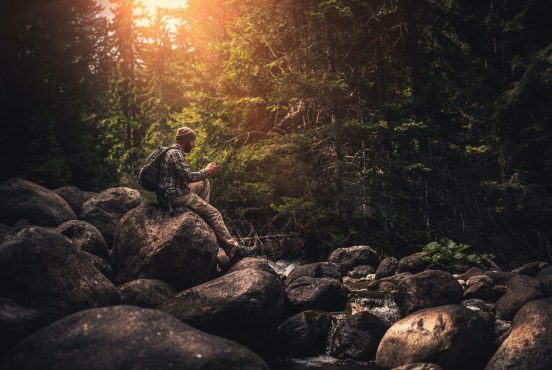 In the spirit of Fjällräven’s focus on sustainable, functional and performance-based products, the No. 4 clocks in at less than 1.5 pounds while still managing a 30-liter capacity. That’s a win-win in our book. The Weekender is a smaller, simpler version of the Rambler. At 20”, it still offers plenty of storage, but in a more compact body. Clean, simple branding adorns the exterior, and it has the same beautiful canvas and leather combo that makes the Rambler an instant classic. Small Business Saturday. . We’ve created this new holiday to give the small guys a chance. What we’ve seen though in the last few years is how much you’ve stepped up year-round to support what we do and speak out with your purchases. Caring for the small guy isn’t about sympathy, it’s about knowing where your products were made, and by who’s hands. We couldn’t be more thankful that we get to cut and sew your bags every day for a living. It’s truly a privilege. Like its larger counterpart, the Weekender is handmade to order in Bradley Mountain’s San Diego workshop, but these guys work fast and you can expect they’ll get it out to you sooner than later. Their craftsmanship is second to none and one trip with the Weekender will prove it. When Will Adler started Will Leather Goods, it was to prove that everyone “has the right to leave a dent in the universe.” He made his dent in the canvas and leather world with the Traveler Duffle, a full-grain leather and 18-ounce canvas carryall that’s easy on the eyes and won’t take any guff. Testing and research from Will claims that the bag can support weights up to 206 pounds, which means you could fit several small people inside without breaking the leather straps and alloy-riveted stress points. Of course, you’d have to pack said people down pretty tight to get them into the bag’s roomy 20-inch width, but that’s another matter. Unlike most of the bags here, the Traveler goes heavy on the hide: the bottom, exterior pockets and top liner all make use of Will’s premium veg-tanned leather. It comes with a lifetime guarantee and interestingly enough, two travel pillows that are much cooler looking than they sound. It’s available in black/brown and tobacco/saddle, and both styles have just enough grit, style and smoothness to do the job for work, play and everything in between. Billykirk updated their line of carryalls in 2018 with a new wire-framed zipper opening, replacing an older strapped-closure style that wasn’t quite as convenient. The change may seem minor, but it created a lighter, more practical bag that’s easier to open and close – and feels more secure. Just about everything else is the same, including the brand’s adherence to beautiful, minimalistic branding and style. 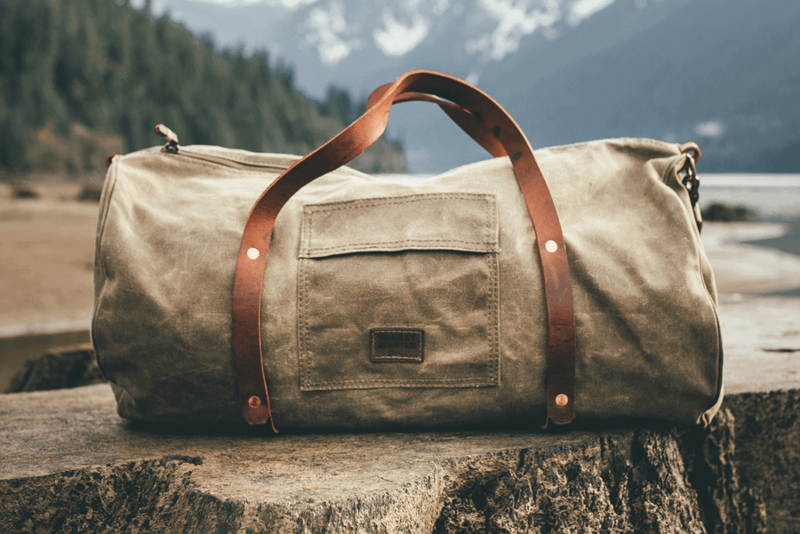 This 20” duffle is ideal for air travel, and its 20-ounce waxed canvas exterior is hard to beat. Full-grain, vegetable-tanned leather straps and a thick bottom make it extra durable, and the accents – brass hardware, leather pulls – are in all the right places. The No. 479 recalls a simpler time, when the best materials and construction were more important than flash and extras. If you’re the throwback type that wants to only do duffle bag shopping once in your life, this carryall from Billykirk has you covered. “The proof is in the patina,” says the Lower East Side-based company, and it won’t take many miles with this bag in tow to see they’re not lying. When it comes to canvas, Tanner Goods is like that older guy around your neighborhood who smokes cigarettes and drives a fast car, but doesn’t drive too fast through the neighborhood because he knows it’s full of kids and everyone’s generally nice and considerate around these parts. That’s a long way of saying we’ve admired Tanner Goods for some time now, and for good reason. Their canvas line is more or less an apex predator, sitting at the top of the canvas food chain and looking down while everyone else fight for scraps. If that’s enough analogy for you, well, that’s on you good reader. Their Nomad Duffle is a 22” zip-top bag constructed with 18-ounce filter twill canvas and English Bridle leather, finished with brass hardware and the company’s trademark minimalist branding. But that’s their confidence in action: the bags speak for themselves, and those in the known can spot a Tanner Goods bag from several yards away, easily. The Nomad is made in the US, available in field tan, obsidian and space blue, and is unofficially guaranteed to make you look like you know what you’re doing in life, even if you have no clue. The Bonded Canvas Duffle from Best Made Co. bucks the cylindrical duffle in favor of a boxier body that adds support and structure where it matters. Its 44-liter capacity makes it ideal for long weekends, but as its camp is home label suggests, it’s built to endure much hardier travels. The body’s constructed with 10-ounce bonded canvas, reinforced with clean webbing and punctuated with Best Made’s own branded brass rivets. Eight-ounce Italian veg-tanned leather straps offer enough drop to make this comfortable to carry by hand, and a removable shoulder strap offers another carry option. The Bonded Canvas Duffle is made to battle the elements, with a durable twill interior, an inside storm flap and a “double-thick base with waterproof tarp core.” The exterior’s resistance to abrasiveness will help keep it in good shape over time, but it’ll also develop the age and patina of a well-worn bag. Best Made isn’t just a name – it’s a philosophy – and the stitching, details and craftsmanship of this duffle live up to the hype. We’ve all had weeks that make us say: we out. Frost River did us all a favor by making a bag that expresses this sentiment perfectly. Their ImOut Duffel Bag is all the excuse you need to get away for the weekend, and it’s available in three sizes, from 19” to 24” depending on how long you’re looking to roam. Shoulder strap options and monogramming help customize this bag to fit your needs, and you’ll find the 18-ounce canvas hardy enough for the roughest travel. Leather accents and solid brass hardware give the ImOut a decidedly classic look without falling into the traditional blandness of some travel bags. Frost River offers a lifetime guarantee on hardware and craftsmanship, and they’ll repair bags from regular wear and tear at an affordable price. Winter Session’s Weekender sports low-profile Hermann Oak-sourced leather handles that make this bag easy to carry, even when its 20” body is full of travel goods. Its heavy duty waxed canvas is complemented by a full-grain leather bottom, giving it shape and room where some canvas bags feel unstructured. There’s no shortage of pockets, and the excellent stitching on the Weekender makes for a cool contrast to the weight of the canvas. The company was founded in 2010 by husband and wife duo Roy Katz and Tanya Fleisher, and today they continue to make their products in Denver. Details and quality parts – YKK zipper, brass hardware used sparingly – make this a bag that’ll last, and with plenty of compartments, the Weekender works just as well for business or pleasure. The Weekender’s available in grey, olive, navy, field tan and black canvas. Mike Arnot started Owen & Fred in 2012 with little more than a credit card and a lofty goal of American-made travel goods, and in late 2017 he revamped the brand as Boarding Pass, a salute to travel aesthetics, aviation and the next wave of Arnot’s ambitions. What didn’t change is the brand’s focus on quality travel pieces that’ll hold up no matter where you go. Their Voyager Waxed Weekender is made with 10-ounce Martexin waxed canvas, 9-ounce leather from Wickett & Craig and minimally placed brass hardware. The Voyager is available in four colorways an sized to be a personal item on flights. It’s made in the US, as Arnot always set out to do, and Boarding Pass guarantees its craftsmanship. GQ once said that Boarding Pass combines “the handmade, quality connotations of brands like Filson with the modern sensibilities of a Jack Spade,” and we’re not going to call their bluff. Today, the brand is sold in more than 600 retail stores worldwide, including their own locations in Manhattan and Brooklyn. It’s easy for canvas and leather to take on a military or outdoor vibe because of both materials’ grit and weight, so it’s an impressive feat when a brand like Ernest Alexander makes the combination look wholly urban. Their Andrews duffle is a beautiful 20” bag with a separate shoe compartment, and those who need it know how practical this can be. Premium waxed canvas and dark Bridle leather add a touch of class and sophistication where many bags lack in this category. There’s plenty of storage, and its upright body doesn’t sag over time. It looks right at home on the streets of Manhattan or San Francisco, but it’ll handle your trips in the field just as well. Ernest Alexander’s grandmother and great-grandmother were Latvian seamstresses who set up shop here after World War II, and he’s dug the family’s fashion roots even deeper with his line of quality goods. Their Weekender embodies the same whimsical vibe, but it’s also a down-to-earth, practical carryall that’s ideal for quick weekends away. Its 19-ounce waxed body is available in coal, moss, slate and four other colorways, and there’s a good possibility that each will lead you to taking up poetry if you’re not careful. Minimal packaging and branding make this an ideal choice for the less is more crowd, and each bag is slightly unique, using leather from “deadstock to well-worn WWII gunsling” and a variety of colored zippers. There are weekenders, and there are duffle bags meant for trips that don’t necessarily have an end date. Enter: the Hudson from Sturdy Brothers, a 30” two-tone beast made from nutmeg and navy waxed canvas. These guys do it right, with a YKK zipper, copper rivets and natural leather straps that’ll hold just about anything you throw in. The nutmeg canvas is one color that accentuates the lines, creases and wear of your bag, so no need for souvenirs – your bag’s patina will keep record of everywhere you’ve been. If you’re not in the market for one of their duffles, check out their waxed canvas aprons, perfect for any workshop or studio. If you’re a fan of The Hudson bag but looking for something smaller, the William duffle from Go Forth Goods offers much the same aesthetics in a more compact package. Its 19-ounce waxed canvas is available in field tan, navy and mod-green, and either colorway looks stunning with its veg-tanned belt straps. 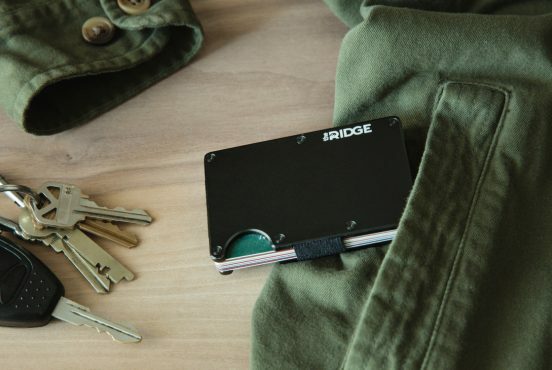 It’s a simple bag that doesn’t offer a lot in the way of pockets and organization, but if you’re anything like us, you dig the simplicity of minimal (one) pockets. Each duffle is handmade to order within a few days and Go Forth offers free customized initials on the leather straps. Its carry-on size is ideal for short trips, but at 24” it’s big enough to pack whatever clothes, shoes and accessories you need. The bag’s made in Marietta using leather sourced and tanned in the US, and it’s backed by Go Forth’s lifetime guarantee on craftsmanship. Tom Beckbe is a sportsman-focused brand down in Alabama, and they’ve been making waxed canvas jackets, hats and bags since 2015. But don’t let their youth fool you: these guys make products built for the ages, and their Canvas Weekender comes out the gate looking like it’s already put some miles on. Its sportsman influence is clear – the bag recalls Filson or Orvis, but with a refreshing take that breathes new life into this category. The bag’s waxed army duck canvas (10-ounce) is criss-crossed by Horween leather and pocked with antique brass hardware, making it look just as good in the city as it does in the field. A waterproof interior keeps your goods from getting ruined in foul conditions, and its carry-on size is perfect for quick weekends away. It’s made in the US and backed by Tom Beckbe’s lifetime manufacturing guarantee. The word duffle originally comes from the Belgian town of Brabant, where the duffle’s original fabric was sourced. 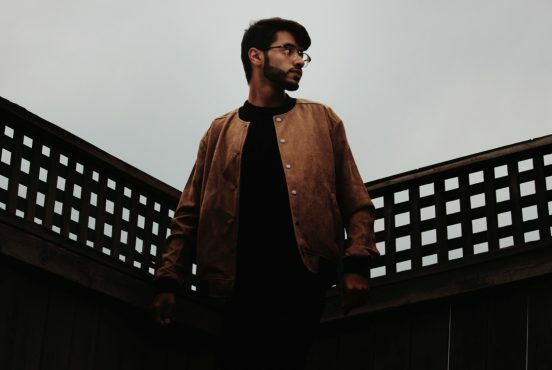 Over time, the duffle has gained a uniquely American and sporty feel to it, and the duffle from Joshu + Vela is a perfect example of where things stand today. Made by hand in San Francisco, this duffle is the perfect size for weekend travel or trips to the gym. Its 18-ounce canvas body is thick and durable, but not stiff enough to feel cumbersome. Its veg-tanned leather straps are simple, and brass YKK zippers offer a striking contrast to the clean, athletic body. It weighs just over two pounds, making it one of the lighter options on our list. Military-spec hardware doesn’t weigh it down, but offers quality and assurance in all the right spots. It functions as a gym bag, but has the room and aesthetics for a cross-country trek. If you’re in the bay area, it’s worth stopping to see founder Noah Guy’s studio and workshop, which is open Monday through Friday 10am to 5pm. Portland-based Red Clouds Collective embraces the collective part of their label: among them are “woodworkers, motorcycle mechanics, skateboarders, and photographers.” You, sirs, have our attention. Their duffle is a boxy number made from 18-ounce Martexin canvas, Hermann Oak veg-tanned leather and carefully placed brass rivets. The bag resembles a tool box more than a military-style carryall, making it great for weekends out and errands around your hometown. It’s handmade to order in the Pacific Northwest and available in black or brush brown. Every year, Barbour sells more than 100,000 of their classic waxed canvas jackets. If one of those jackets got together one night with a real slick gym bag, you would get something like the Barbour Wax Holdall. The waxed outer is handsome in the best way possible, with minimal contrast, branding and unnecessary extras. The Holdall gets the job done with two zipped interior pockets, the company’s signature Tartan liner and antique brass accents in high-stress points. A detachable shoulder strap makes it ideal for short- or long-term travel, and you know it’ll hold up when you remember that Barbour’s been doing the damn thing since 1894. If the Twain has a time-honored vibe to it, consider that Korchmar has been in business since 1917. In a sea of young brands, this family-owned business from Cincinnati has maintained a level of success and quality that’s more than impressive. Unlike many cylindrical duffles, the Twain has a body that clamps down at the ends, giving it structure and room to hold your stuff, but making it flexible enough to get thrown around a plane, train or automobile. Full-grain leather trim offers a solid contrast to the olive waxed canvas, and antique brass hardware gives the bag a clean, subtle polish. The Twain features Korchmar’s signature interior liner, with enough pockets to keep you well-organized on the road. It’s made in the US and covered by a five-year guarantee on craftsmanship and manufacturing. That’s how they approach making their Field Duffle, a classic canvas-and-leather bag that salutes brands like Filson, Orvis and Eddie Bauer. Its timeless sportsman-influenced design is updated with sturdy hardware, a comfortable body and impeccable stitch-work. Metal feet on the bottom protect the canvas from wear and tear, and if anything goes wrong in the way of craftsmanship, it’s protected by a lifetime guarantee on manufacturing and defects. These guys – and their hardy duffles – are old-school and don’t care who knows it. If you dig waxed canvas everything, check out our recs for the best waxed canvas backpacks, waxed canvas jackets, and waxed canvas aprons too.